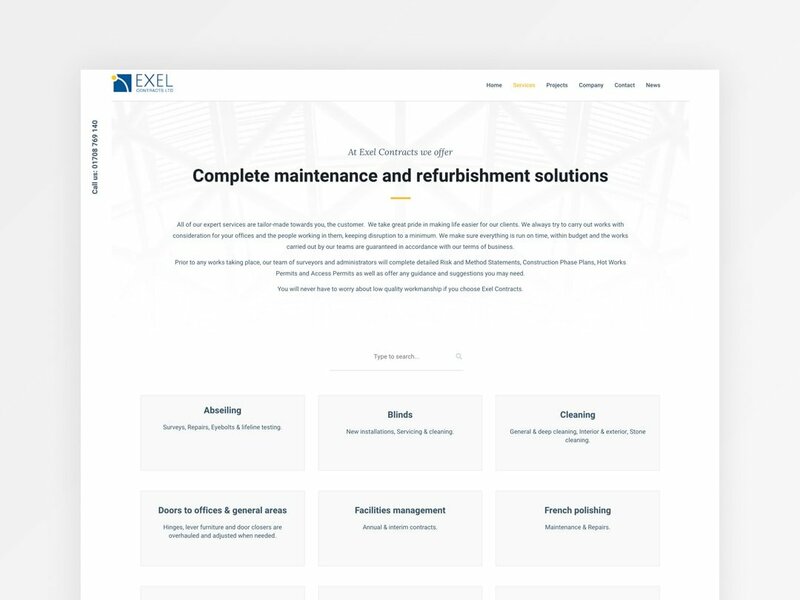 Exel Contracts are a well established building & maintenance company based in Essex, boasting 30 plus years experience. When we first met, they had a very basic website with a simple and outdated design. One of their biggest challenges was that their website was static, with no ability to login and change content and imagery on the fly. As with all web design projects, we kicked off with a meeting to discuss their design requirements and collate any assets; such as logos, fonts etc. 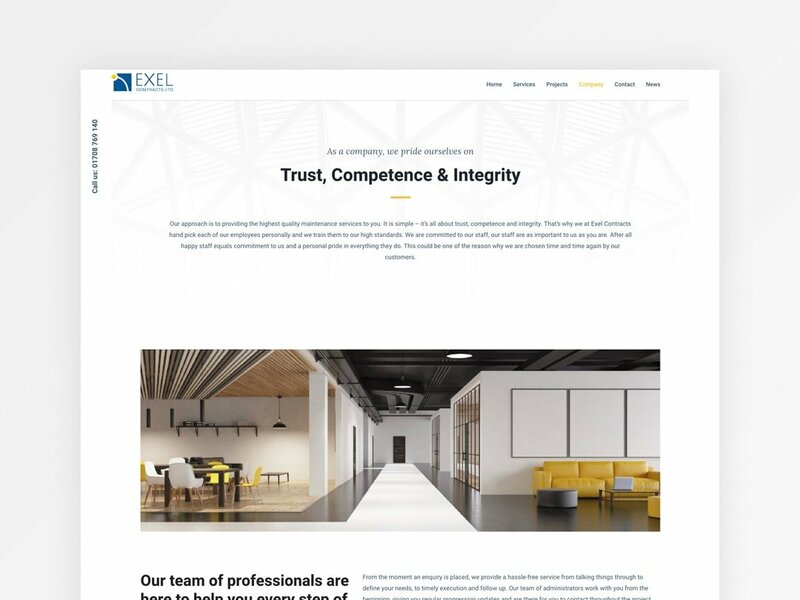 Exel have a ton of experience and knowledge in their field; so they were quick off the mark providing us with top notch content and imagery. We built their new construction company website using WordPress, like most of our websites. This allows the customer to easily login, add content, new projects, imagery, blog posts and manage almost every aspect of their new website. 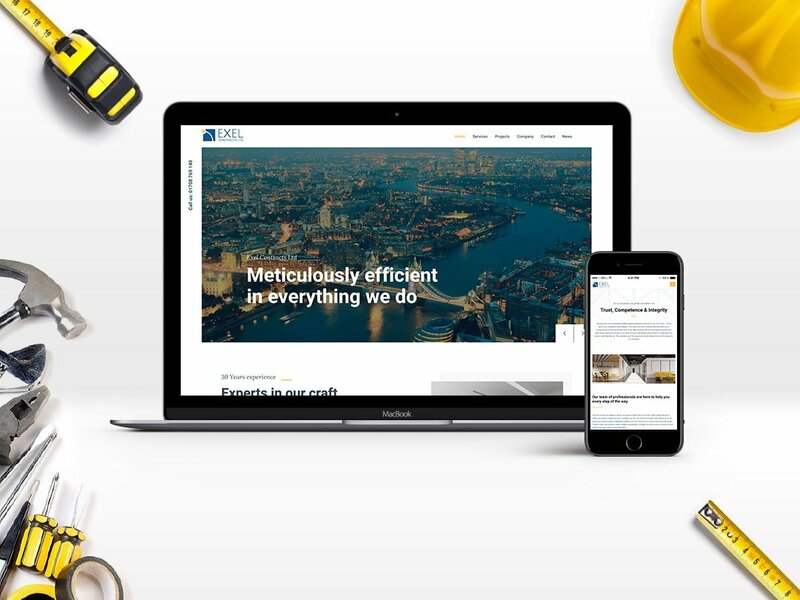 The client was thrilled with their new website, bringing their website into the modern ages of web design – giving them the foundations and flexibility to begin building their online presence. Need help with your Construction Company Website?